Home » Category "Wet Processing"
Desizing is the process of removing the size material from the warp yarns after the textile fabric is woven. Enzymatic desizing is a traditional desizing procedure of degrading starch size on cotton fabrics using enzymes. Enzymes are multipart organic, soluble bio-catalysts, created by living organisms that catalyze chemical effect in biological process. Enzymes are quite specific in their act on a particular material. A small amount of enzyme is able to decompose a large quantity of the material. Before enzyme de sizing cloth should be wetted with warm water. Enzyme activity should be tested before use. Enzyme treated cloth keep in a rider room. Treated cloth wash with hot water. Should be careful that enzyme above 70 degree centigrade temperature will be inactivate or damage. Activity of enzyme increase with the increase of temp but up to certain limit then above that limitation activity decrease. Enzyme stability decrease with increase of temperature. Enzyme activity decrease with longer time. Changing of pH rapidly changes enzyme activity and stability. If concentration of enzyme increase then activity decrease. Steeping is the soaking in liquid (usually water) of a solid so as to extract flavors or to soften it. Some teas are prepared for drinking by steeping the leaves in heated water to release the flavor and nutrients. Rot steeping is the oldest & cheapest way of desizing where no special chemical is used. In rot steeping cloth is passed through warm water of forty degree for this cloth is squeezed up to 100% expression. Although this method is the cheapest but the main disadvantage of this process is it is very much time consuming because it cannot be said that with allocated time sizing material will remove. Acid steeping is one of the most useful desizing process where dilute Sulphuric acid is used to Hydrolyze or soften starch. By this method almost all the starch present in the fabric can be liquefied. Fabrics are impregnated with acid solution in a room where the temperature is 30 degree and have to keep it for eight to twelve hours for acid steeping. Remember that during storage of fabric in the tempered room fabric should not be dried otherwise it may damage the fabric. The safest method of desizing is enzyme steeping. There is no problem of hydrocellulose which ensure good desizing. This process occupies less space but it is more costly than other desizing methods. Desized textile materials till contain oil, fats and waxes which are removed by alkali or detergent is called scouring. To remove natural and added oils, fat and wax’s from the textile materials. Prepare for the next process. To get uniform bleaching result. In this process fabric is boiled in an open trough with NaOH common soda and t.r oil for after a few hours. But be careful so that fabric does not come in contact with air otherwise fabric strength can be reduced. After that wash with cold water sour with dilute HCl to remove alkali from the fabric. Now a day’s various types of machines are available for scouring with alkali. This alkali treatment can be divided into three categories. Why enzyme desizing is popular? No hydro-cellulose is formed, fabric strength remain changed. The process is continuous and speedy. The desizing capacity is more. Weight loss of fabric is less. Normally when malt extract is used as the designing agent it takes about 3-4 hours for complete desizing to occur, but when stronger solutions of the extract are used to reduce the time within 5 minute. In this case impregnated fabric has to put in the required pit the length of the floor of the pit should be equal to delivered impregnated cloth in 5 minute, so enzyme impregnated cloth, pit and washing machine should be synchronized with each other. To remove starch from fabric desizing is done. To improve absorbing capacity of the fabric. To make ready for the next process scouring, bleaching etc. To improve absorbing attain of chemicals. Increase luster of dyeing and printing. This machine consists of one or more burners giving continuous flat or vertical flames, produced by mixture of compressed air and gas. When fabric passes over the flame and singeing is done as require. There are various types of machines depending on burns design. The speed of machines 72-90 m/min depending on cloth varieties. 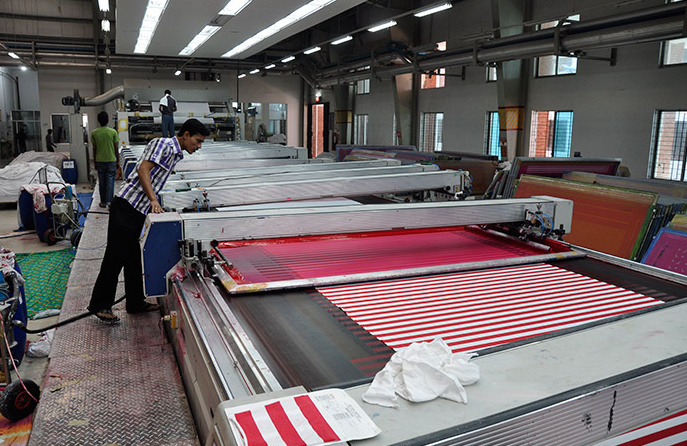 The machines are attached with water tank to save the fabric from any damage. Now a day’s various improved have been done in the machine design. Improper singeing may be lead to as much as 75% tensile strength loss in the warp directions. Why gas singeing method is popular than other methods? Better singeing and projecting fibers of interstices is burned by the processes. Uniform singeing can be maintained. Smoothness and evenness of the fabric is increased. Groove is produced in other singeing machines but gas singeing machines is saving from that problem. Gas flame can be changed according to fabric with. Production is height than other machines. Both side of the fabric can be singeing. Due to the above facilities this gas machine more popular than other machines. Inter stitches fibres not burned. Same as plate. Inter stitches fibres are burn out. Due to mental plate friction surface become smooth and luster. Same as plate singeing. Extra luster is not produced. Fabric moves plate stationary. Both move opposite direction. Fabric moves only. Even temperature maintaining is problem. Better than plate singeing. Burning is used. Metal plate is used. Metal roller is used. Gas flame is used. Speed:150-250 yards/min. Less than plate singeing. Speed250-400 yards/min. One side is signed. One side is signed. Both sides are signed. Singing is a process of burn out the projecting fibre to increase smoothness and evenness of the fabric. Burning of projecting fibres from yarn/fabric surface. Fabric/Yarn surface become smooth, even and clean. Maximum Luster is produced by mercerizing. Help to create smart design by printing. Save from uneven dyeing & printing. In plate singeing open fabric is passed upon the copper plate. To maintain ever speed some guide roller and draw roller are used. The temperature of singeing plates are heating but problem is the plate temperature vary. The process speed vary 135-225 m/min. 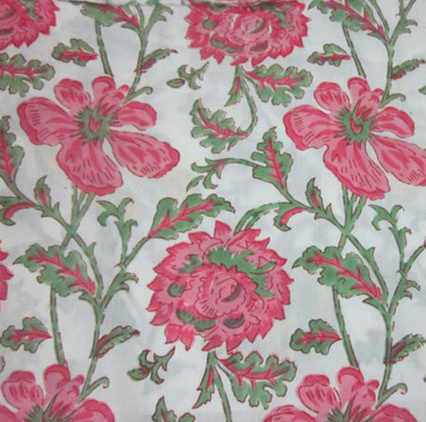 Due to friction between cloth surface and copper plate fabric surface become smooth. Copper plate not to be evenly so uneven singeing is performed. Some defects of plate singeing machine are overcome in roller singeing machine. In roller singeing machine there is used rotating cylinder instead of stationary curved plate as plate singeing machine. It may be made of either copper or cast iron and provided with internal firing system. In this machine the surface temperature of the cylinder is more uniform at all places. The rotation of the cylinder is opposite to the fabric movement, so raise the nap ensuring efficient singeing. 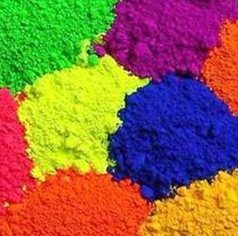 Pigments are such colorants which composed of particles that are insoluble in the application medium. They have no substantivity for the material since the particles are too large to penetrate into the substrate. They are generally present on the surface of the substrate. That’s why pigments are made fixed with an adhesive to the surface so that they are not being removed easily. Pigments should be opaque in such a way that they may have good covering power. Pigments should be chemically insert so that after use remain stable and get long life. They should have the properly to freely mix. Of all the Azoic pigments are occurring major places in pigments. Using of solvent like kerosene, Spirit etc. produce problem of flammability, pollution etc. Before discussing about the classification of dyes lets have some idea of dyes and what can be the basic characteristics of dyes. A dye is a such type of colorant substance which is capable of imparting it’s color to a given substance, by being soluble in the application medium (usually water) at some points during the coloration process. In most textile dyeing process, the process initially involves transfer of the colored chemical from the aqueous solution onto the fiber surface which called adsorption process. From there the dye slowly diffuses into the fibre. Depending on internal structure of the fibre, this occurs down pores, or between fibre polymer molecules. The overall process of adsorption and penetration of the dye into the fibre is called absorption. Absorption is a reversible process. 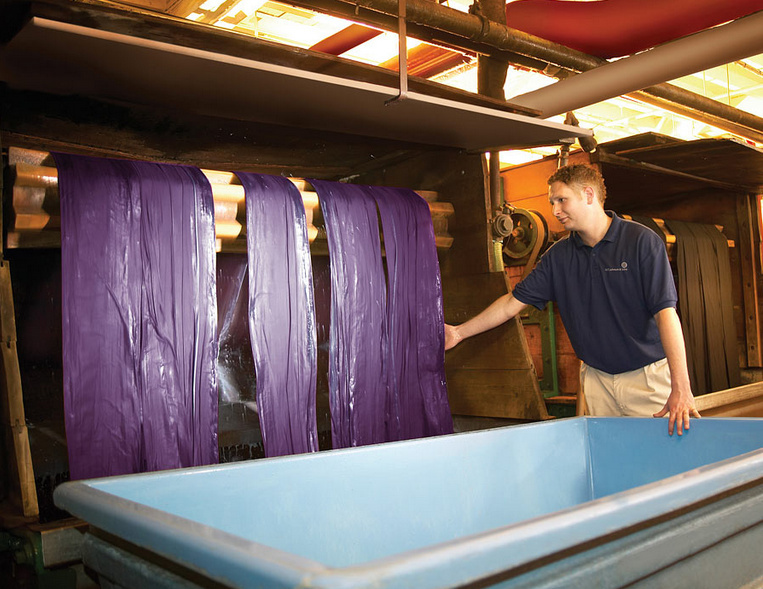 The dye can therefore return to the aqueous medium from the dyed material during washing which is called desorption. Solubility in water at some point during the dyeing cycle. Some substantivity for the fibre being dyed. Reasonable fastness properties of the dyeing produced. 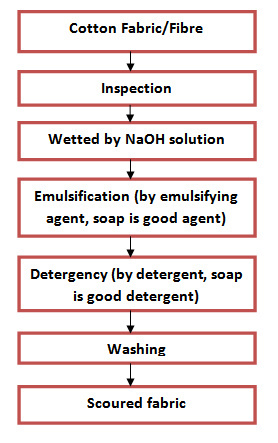 What can be the flow chart of wet processing of woven fabrics? Wet processing is related with the manufactured gathering of fibers, filaments and for yarns. It is a process involved with the aqueous stage of pretreatment, dyeing, printing and finishing. In a broader sense wet processing is the process of inspection of grey fabric, stitching, singeing, resizing, scouring, bleaching, sample testing, mercerizing, souring, washing, sample testing, dying, after treatment, printing, finishing, quality test of sample, assure quality, inspection, rolling, packing and finally deliver to buyer. Wet processing is very important process of fabric. It is a Textile engineering department. Wet processing engineering is one of the major streams in textile engineering refers to textile chemical processing engineering and applied science.There a lot of factory just for wet processing call dying industry/mill. Here I am presenting flow chart of wet processing for woven fabric. Quality test after finishing: all quality test according to buyer requirement and keep all quality of their want.